Soldering stations have many advantages. 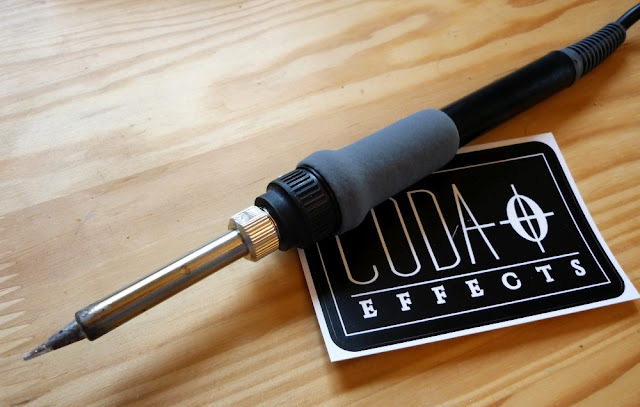 They include a support for the iron, the temperature is usually adjustable (good if you want a high temperature for heavy soldering), and the power cord is separated from the soldering iron cord, making it easier to handle. They are many soldering stations available out there, and their prices range from $50 to almost $1,000 or more! Choosing the right station for you is thus not always easy. 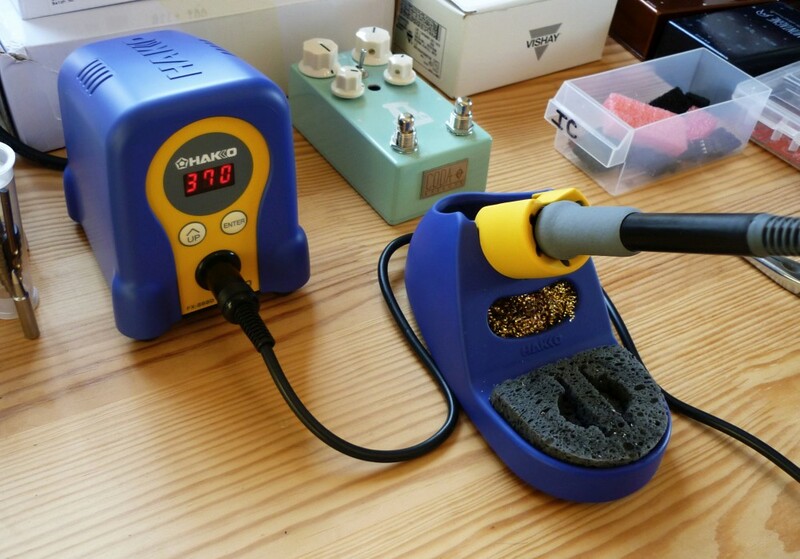 In the US, Weller soldering stations are top notch quality, but they are quite expensive. In Europe, they are even more expensive because of customs duties, and it is very hard to find one used. So the Hakko seemed like a very good deal! It can look a bit like a toy, but it is very high quality: all the blue and yellow parts are metallic. There are 4 presets of temperature that you can select quickly with the "up" button. Useful if you want to switch to a standard setting to a more powerful one for heavy soldering. The only downside of this soldering station are the controls that are not always very easy to use. For instance, if you press "up" for too long, it will reset the unit to factory controls! (instead of changing the temperature for instance...) So be careful and read the manual before trying to change anything! Here it is! It is really a nice tool to work with, I highly recommend it. Hello José! Thank you for your comment. Really nice station indeed, I also like the fact that it is very easy to use. I will follow Emexis Pedals for sure !